the conspiracy theorist in me wants to point out the 77 million they dont have to pay to the finger-pointing fruitcake who bailed less than a month ago. There was rumor here in Philly that someone involved in the front office of the Sixers was going to buy the Devils. The outrage being voiced was hilarious to listen to. Wow and the league is looking to expand, they shouls be looking at contraction. canaan wrote: the conspiracy theorist in me wants to point out the 77 million they dont have to pay to the finger-pointing fruitcake who bailed less than a month ago. So manybe the will have a first round draft pick next season, after all. The Devils would be the first team to move that has won a league championship, right? Looks like there are two groups battling to buy the Devils and both actually have MONEY, believe it or not. I thought you were automatically disqualified as a potential NHL owner if you actually had money and didn't try loan-shark financing to buy a team. I have a feeling the arena is maybe the bigger asset to potential buyers than the hockey franchise. Eight million plus, you'd think this area cold support three. brwi wrote: Looks like there are two groups battling to buy the Devils and both actually have MONEY, believe it or not. I thought you were automatically disqualified as a potential NHL owner if you actually had money and didn't try loan-shark financing to buy a team. I have a feeling the arena is maybe the bigger asset to potential buyers than the hockey franchise. No question about it. The Devils are a break-even team at best. If someone believes they can turn this arena into something more profitable (was not top-50 busiest in the world in Q1 2013, after being 11th in 2012) and believes in Newark's chance at a revival, they'll be some serious bidders. That's the only real lucrative thing about it. WIP is in a panic this morning speculating that the Sixers owner is going to buy the Devils and then move them and the Sixers to Seattle. Angelo Cataldi needs to calm down and have a hoagie. Sam's Drunk Dog wrote: WIP is in a panic this morning speculating that the Sixers owner is going to buy the Devils and then move them and the Sixers to Seattle. Seattle would approve the building of a new arena in a second if that owner really wanted to go there. Crankshaft wrote: The Devils would be the first team to move that has won a league championship, right? 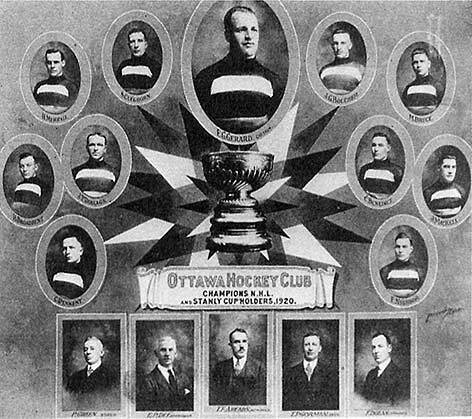 The old Sens ended up moving to St. Louis in 1934 and folded a year later due to cost of travel. So, basically no team with real Stanley Cup championships. Didn't the original senators win some? EDIT: Oh, well I never read the rest of the thread when I come to a post I want to respond to. meh. They made a huge mistake building their arena in Newark. The city is trash and it's not any easier to get to from Bergen County than the Meadowlands. They should have built it in Hoboken, all NJ transit leads to Hoboken and you are a 15 minute ride by PATH from lower Manhattan. I took the PATH from Manhattan to Newark once, it's a long ride and then after that, I'm stuck in Newark unless someone drives me home or I take the PATH back to Manhattan and transfer some more to get to Hoboken and train home or the PA to take a bus home. Not the people, the fragmentation and relative location to NYC. Attendance was fine, but they needed a deep playoff run last year to make even just a little money. Keep in mind that they own a venue that is more expensive to operate than MSG and recently lost an NBA tenant. Everything points in the wrong direction. Crankshaft wrote: So, basically no team with real Stanley Cup championships. It looks like the Sixers owner is buying them. A better way to put it would probably be "No team that has won a Cup in the Post-1967 expansion era has relocated". Wasn't hating on history. Was a tongue in cheek comment.